Code.org is a non-profit organisation dedicated to expanding access to computer science to students of all races, ages and genders. For teachers there is a section on how to implement the material into their computer lessons. The code.org website also supports mobile devices such as iPad and other tabs, so it doesn’t require a PC. Code.org is supported by big firms such as Microsoft, Facebook, Google and many more. They organise a special Hour of Code campaign every year to engage schools and their students in the learnings of how to program games and applications playfully. 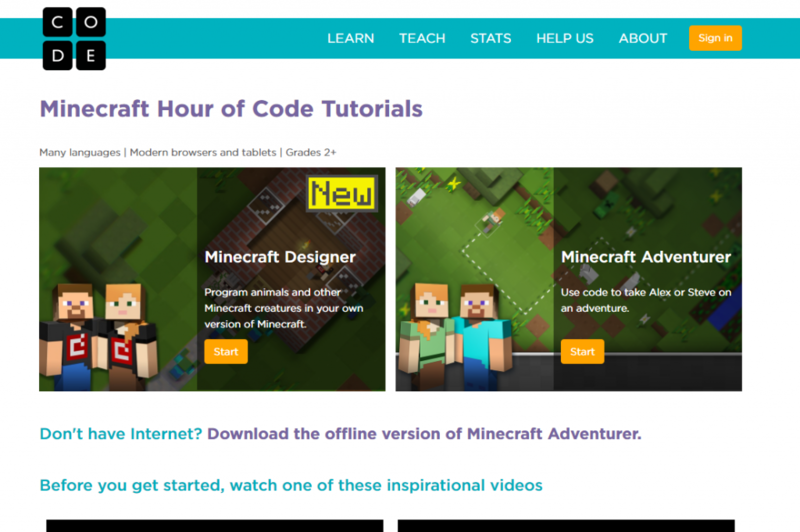 For organisations the site offers the opportunity to create your own Hour of Code subsite. 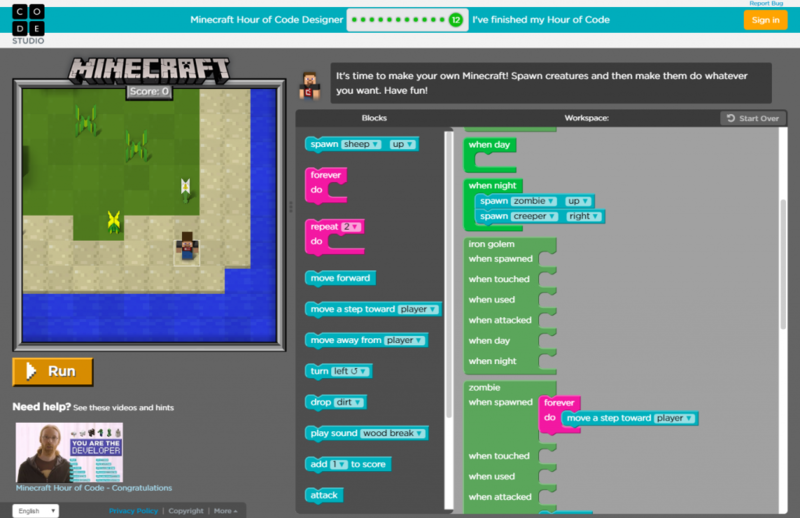 Each Hour of Code subsite is essentially a tutorial site where students playfully with special event blocks learn how the different elements behind a game or application works. 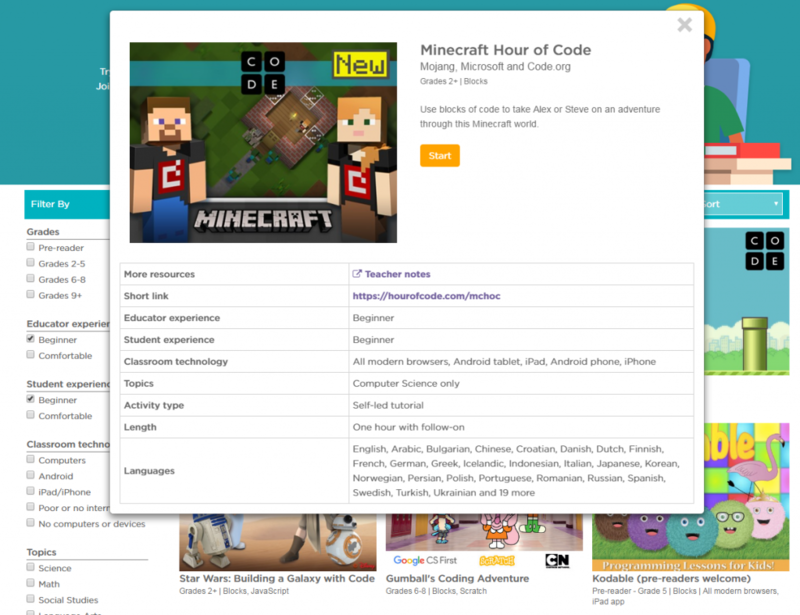 At the end of the lessons, they can then play freely with your mini application and publish their own version of the application. 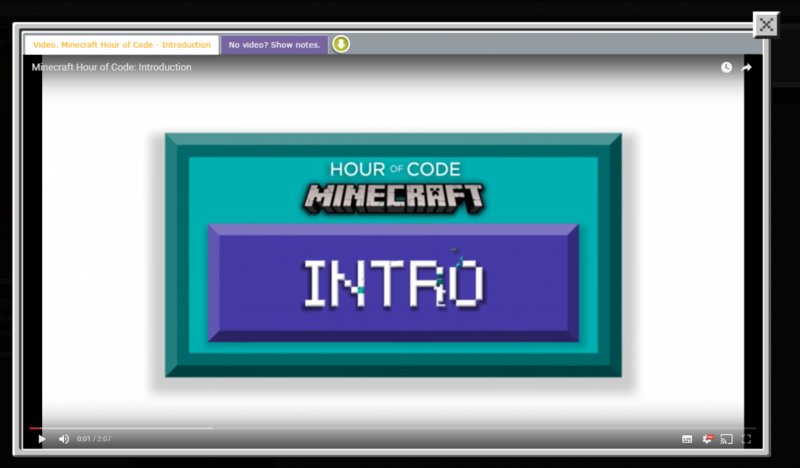 The Minecraft part of the site is called Minecraft Hour of Code. I have played through the newer tutorial Minecraft Designer. In this edition you can program animals and enemies. You learn the basics of programming, with events, triggers and loops. I (Steven) am a programmer for years now in several different languages and I am rather impressed in the knowledge kids will gain from these basic rules so early on. I bet there will be some great new programmers the coming 10-20 years. When you start the lesson, you get first an introduction video. After the video you can try out the first practice. You drag and drop blocks and attach them to events inside the workspace. When you have done your programming bit, you hit RUN to test the game out. You will see straight away what happens. It’s an excellent and playful way to learn what happens with simple programming steps. When you have completed the assignment you will be congratulated and the next lesson will be presented. At the end of the lessons (12th at my version) you will be able to create a game with all the building blocks. When you are done creating that, you will be able to share it with others (get a link to share), so they can play your version of the game. In Minecraft Adventurer, you get to learn repeat loops and if then else statements to build a house, avoid creepers and mine ore. It goes even as far as to avoid lava and how to deal with lava while mining ore in a cave. Pretty neat! 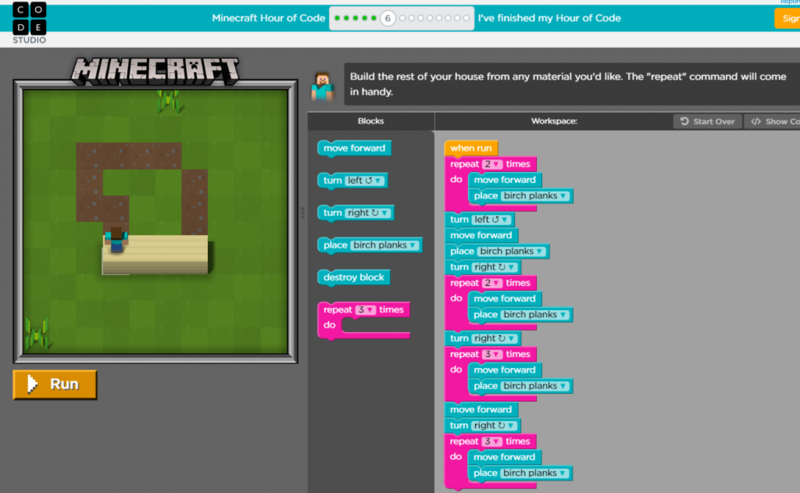 I have seen other Hour of Code lessons from Lego and Flappy Bird as well as Angry Birds. There are tons of tutorials. There are also tutorials about other subjects in computer science. Got interested to learn about programming? It’s really easy, I think it is open for all ages, whether you are as young as 5 or as old as 95. Try it out! Have fun Coding and Gaming!